During my ongoing search for healthier/cleaner beauty buys I stumbled into Lush Cosmetics a few months ago and fell in love with nearly every product they carry. From face masks to body wash I’ve been impressed with how well the products work, along with how much I enjoy using them. I’m hyper aware of the importance to use products that are not laden with chemicals, but finding products that are “clean”, that work and that don’t smell overly earthy or medicinal was nearly impossible before discovering Lush. 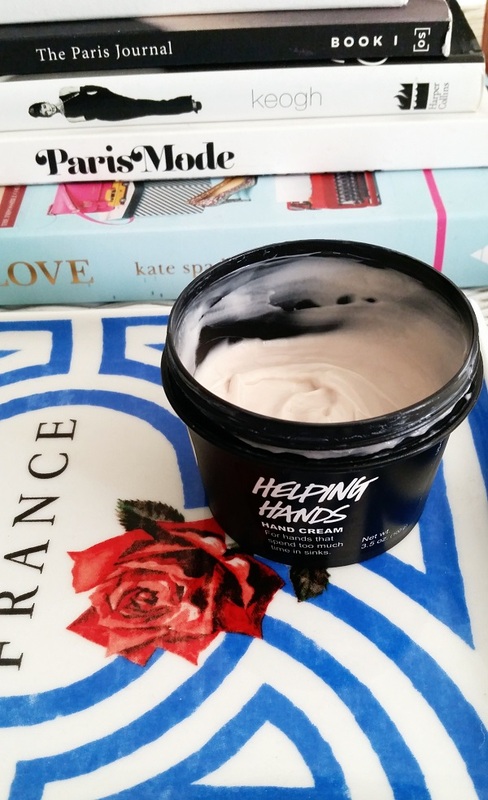 My favorite August Beauty Buy has been the Helping Hands Hand Cream. I have pretty dry skin and in the past was reapplying hand cream nearly every hour, but I only need to use the Helping Hands Cream 2-3 times a day at the most. The cocoa butter and almond oil hydrate my skin immediately, while the lavender oil and honey give a soft scent that is pleasant but not overwhelming. 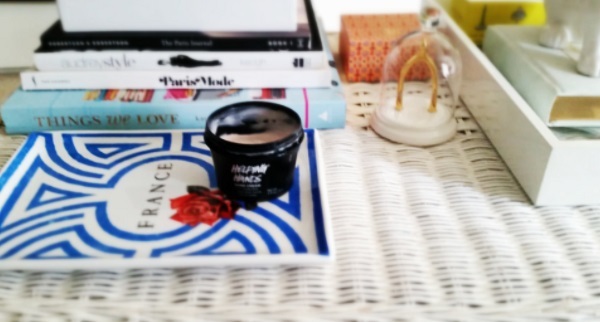 Read more on my other favorite Lush products here. Have your tried Lush? Or do you have any product recommendations for me?